Help Rescue Rebuild Save 1,000s of Shelter Pets! Rescue Rebuild is an amazing group! 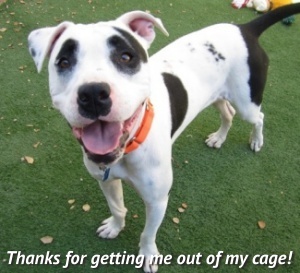 They travel from shelter to shelter freeing pets from their cages by building outdoor spaces for dogs & cats to run and play – making them happier, healthier, and with a dramatically better chance of getting adopted! BUT the truck that transports them & their tools is breaking down… and when that happens, their work will stop. Let’s not let that happen! Please help Rescue Rebuild get a truck to keep their life saving work going! Just $10 gets them 60 miles towards their next shelter to save more pets!